Indiana Jones and the Temple of Peril Roller coaster attraction in Adventureland at Disneyland Paris; opened July 30, 1993. 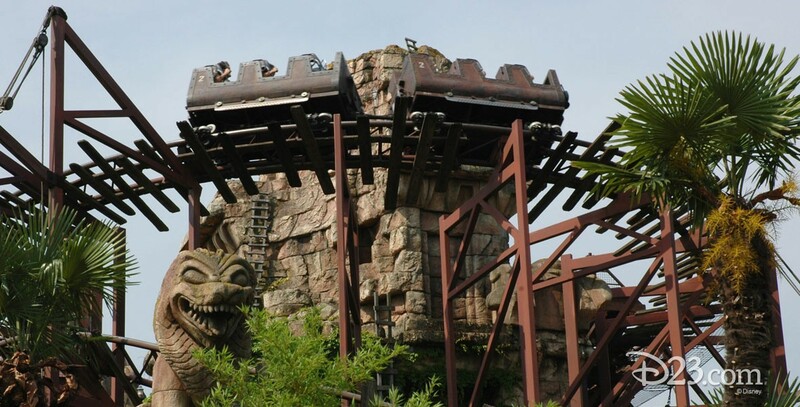 In order to quickly add needed capacity at the park, designers selected a stock roller coaster attraction, but then added theming to make it into an exciting Disney experience. From April 1, 2000, until December 3, 2004, the roller coaster was operated backwards.